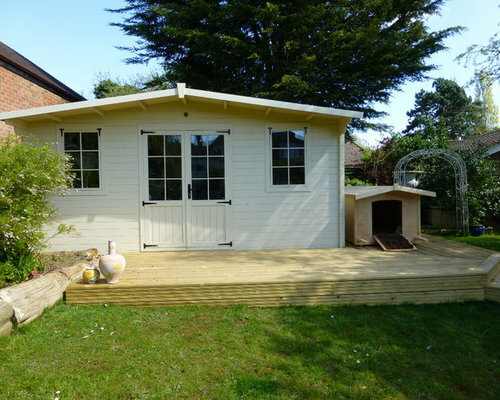 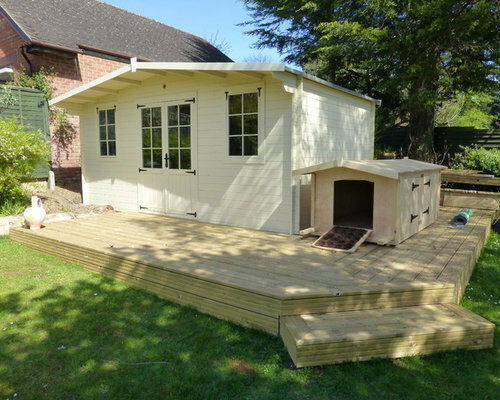 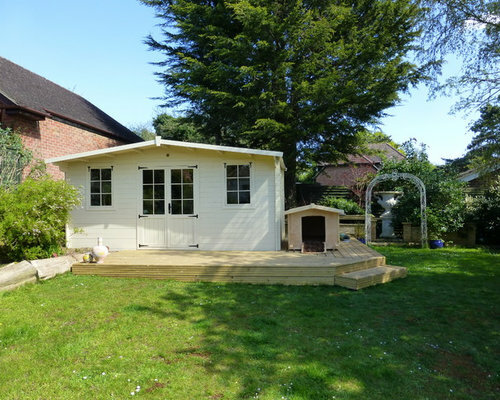 This summer house was built on custom decking with a matching bespoke dog house built to the client's requirements. 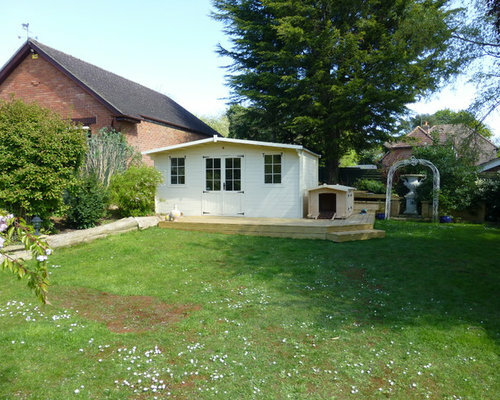 Front view of the summerhouse at the rear of the garden, with matching dog house. 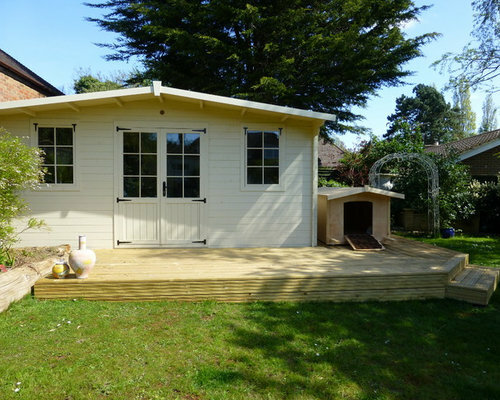 Closer view of the decking, dog house and summerhouse, with double doors and two front facing windows. 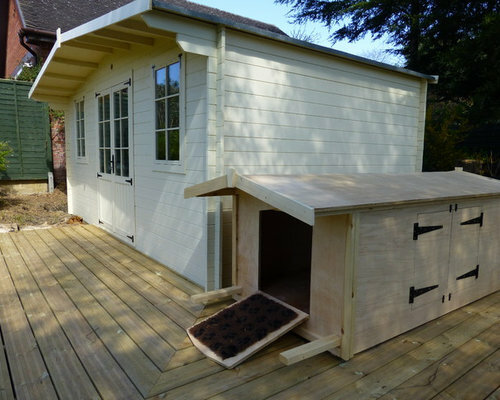 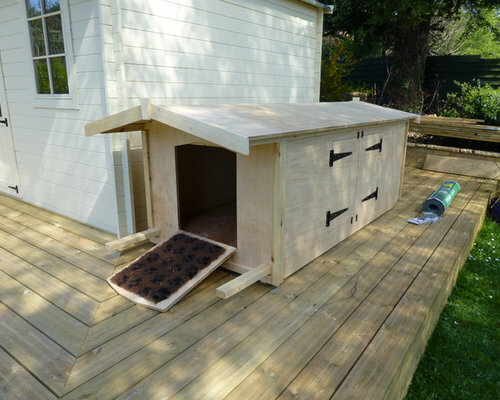 Closer view of the kennel/dog house, custom made to tie in with the summerhouse.